The Wellington Shakespeare Society meets on the first Thursday of each month to relish the works of Shakespeare. 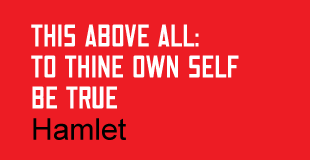 Shakespeare’s plays are read and analysed. Guest speakers present lectures. 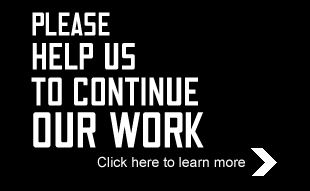 For more information and regular updates, follow us on Facebook. 2017 was the 453rd anniversary of the birth of William Shakespeare at Stratford-upon-Avon, England, on 23 April 1564. It is also the 85th anniversary of the founding of the Wellington Shakespeare Society on St Patrick’s Day, 17 March 1932. 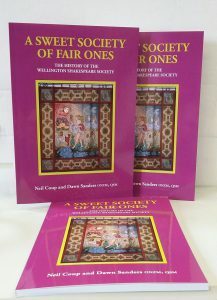 To celebrate this special occasion, the Society published its history in a concise and charming book, listing many of its milestones, achievements and important members. $18 RRP, $15 for WSS members & SGCNZ Friends. 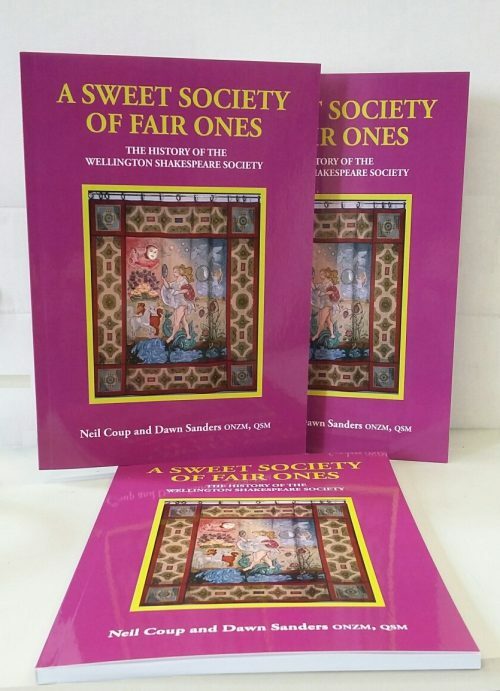 Click here to download the order form for the WSS History Book A Sweet Society of Fair Ones! We generally meet on the first Thursday of the month at 7.30pm in Connolly Hall, Guildford Terrace off Hill Street, Thorndon, Wellington, unless stated otherwise.